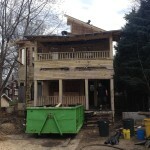 Here are some examples of demolition projects that our contractors have completed in the Akron, OH area. 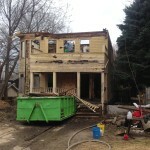 We use heavy equipment to demolish and clear away existing structures in Northeast Ohio. You may have an old barn that you’d like to demolish in order to make room for a garden or grove. 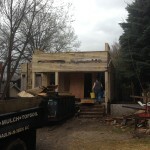 Or, you may want to demolish an existing building in order to construct an office, commercial business, or home. 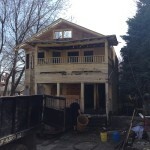 Whatever the need, our demolition contractors bring our experience to the job. Our main goal is to make your home improvement projects easier. 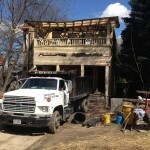 What if you had to take an old barn down but had no one to help you with take down and clean up? Well, now you have Haulin-N-Such. Our demolition contractors are happy to have served the Akron, OH area for many years, and we’ll continue to do so with a smile on our face. If you have any questions about our services, please don’t hesitate to contact us today! 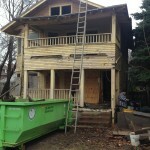 Haulin-N-Such is here to take the stress out of home improvement, remodeling, and junk removal ventures. Feel free to contact us about junk removal and dumpster rentals, too! 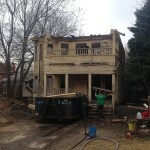 Do you have a demolition project scheduled? 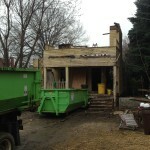 Wouldn’t it be great to have a dumpster rental and junk removal service on hand? If you live in Akron or Medina, OH, Haulin-N-Such is the company to call. 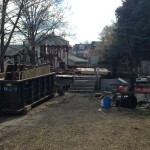 We provide affordable rates on all of our dumpster rental and removal services. 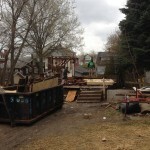 Never worry about a construction or demolition project clean-up again! 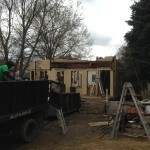 The second floor is removed to the ceiling of the first floor. 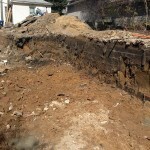 House has been removed to the floor and basement foundation. 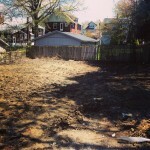 Basement walls, and floor have been removed, sewer capped, and filled in.